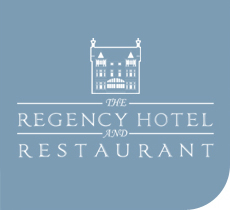 All 32 en-suite individual bedrooms at The Regency Hotel in Leicester have been tastefully decorated to the highest standards with the following traditional and modern facilities. Our hotel is perfectly situated just on the edge of Leicester city centre making us the ideal base for exploring the many tourist attractions Leicester offers. Did you know the Regency was a convent for a short time during the mid 1900's. You may find an enchanting stained glass window or two in your bedroom.